- Bishop, Doctor of the Church. 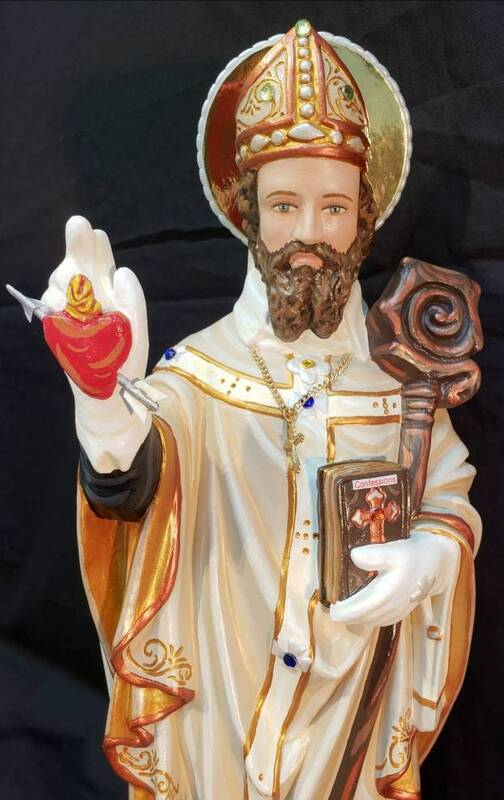 - Patron of Conversions, Brewers and Against Vermin. - Feast Day: August 28th. 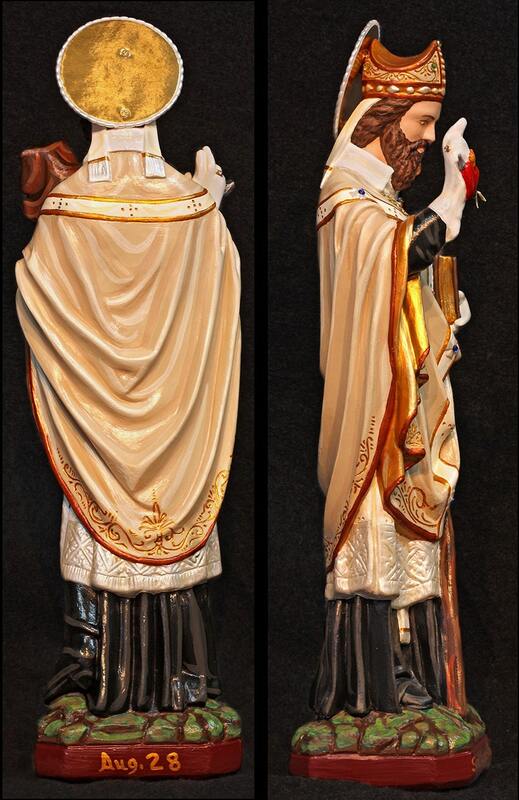 This statue features a magnificent hand painted face and details such as fingernails and eyelashes, exquisite filigree detail on vestments, and gold halo. 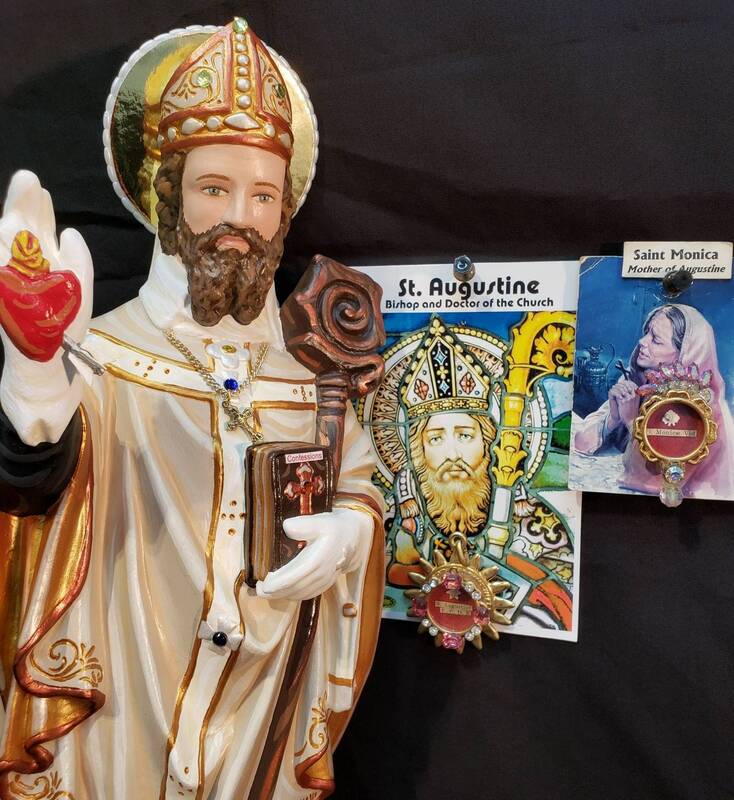 St. Augustine holds his book of 'Confessions' in one hand and shows his heart with flames, cross and piercing arrow in the other hand. 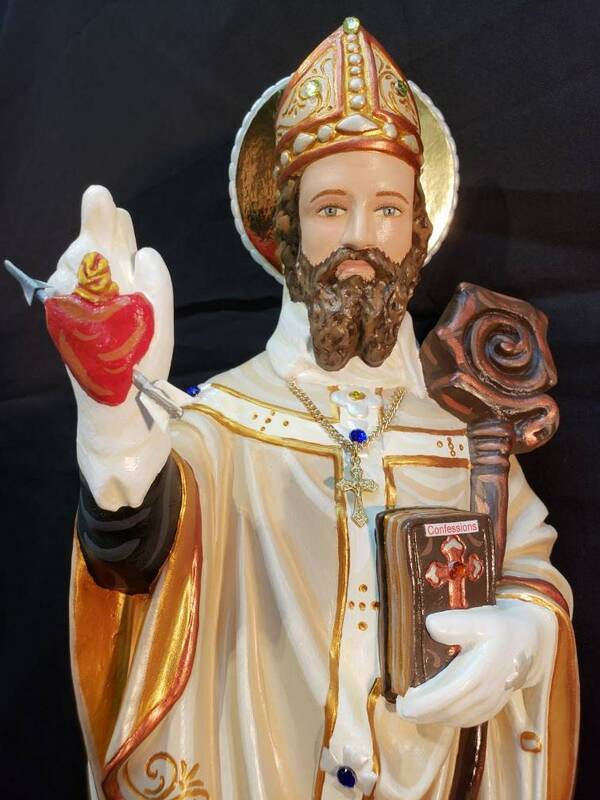 We will also touch your finished statue to a first class relic of St Augustine (shown in photo). Apparently these statues are individually custom made, which means they can take some time to arrive, but they are ever so worth the wait. This statue could easily grace a shrine in a church - it's just so beautiful and so thoughtfully made. Once my resources right themselves I will be saving up for another purchase from Heavenly Saints - hopefully before the year is out - if you want to give someone not just a gift, but an heirloom that will be passed down in a family with care and devotion - these are the products that count - these are the products that last.